Presented in a soft pink shade, this elegant dress from Gina Bacconi would be a chic choice for an upcoming wedding or other important occasion. Add metallic heels and sparkling jewellery to add an extra touch of glamour. Designed with a timeless shift shape that will flatter all silhouettes and featuring gentle ruching across the stomach. Crafted from comfortable crepe fabric with added stretch for improved fit. 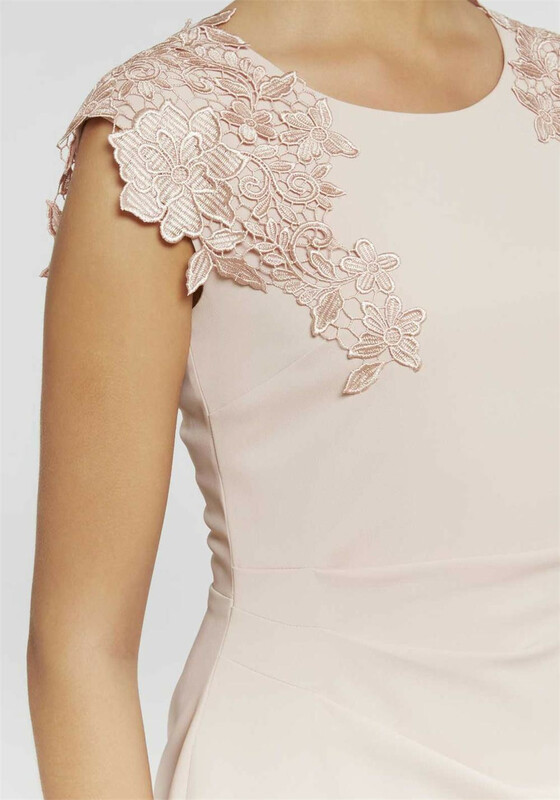 Guipure lace trim on the shoulders is a feminine finishing touch.